x5,is the best mobile phone,i am using 2yearsback.but the body cover is damaged,please issu a new body cover.i will pay the money my mob.09946327020. no comment but LOVE dis fone, i would like to ORDER it Plzzzzzzzzzzzzzzzzzzzzz.brite color. how much is it. am in Gauteng, i use cell c.
Where can I buy a new X5-01? Especially in India? sai, 20 Oct 2013i never used this mobile. so i need some help. is this mobile support's whatsapp ? is this m... moreHi, this phone supports Facebook and Whatsapp. You just have to download them from Ovi Store. Better blackberry 9330 cheaper phone. 512mb ram 512mb rom 624 procesor. i never used this mobile. so i need some help. is this mobile support's whatsapp ? is this mobile support's facebook ? terry, 02 Jul 2013i sold mine, i miss it, funny thing is ihave only seen 2 in my country Zimbabwe.If only 2 seen in your country, it's not funny but exlussive man ! Are you fell regret to sold it ? hey guys, i own this model n as said earlier by someone this IS a point of attraction :) funky mobile. Simply love it. But i do need a help here, my phone supported whatsapp messenger earlier n recently it isn't. Could anyone help me out please? Thank you. Waiting for the reply people! i sold mine, i miss it, funny thing is ihave only seen 2 in my country Zimbabwe. Anonymous, 30 Apr 2013I Live in India :( and Who is selling this phone ?me!!!!!!!! 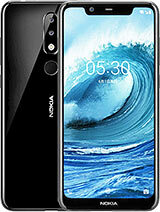 i have nokia x5-01.it is an interesting phone.i enjoy much it. does this phone support pdf ppt file ?is it available now in Bangladesh?